The Newton County School System wants out of the Georgia Milestones Assessments. The Newton County Board of Education has sought the approval of the Georgia Department of Education and State School Superintendent, Richard Wood, to do just that for this current (2016-2017) school year. Citing a myriad of reasons for their departure permission, Newton County Schools are hoping to take the Milestones exit lead. The Newton County Schools are looking to replace the Georgia Milestones Assessments with the Iowa Assessments. With the widespread outages and glitches experienced across the state during the two year stint of the Milestones so far, Newton County Schools have thrown the red flag. They are crying foul. Miss Fuhrey is also bolstering her argument with the fact that Milestones results are not picking up the intricacies involved in the learning process. 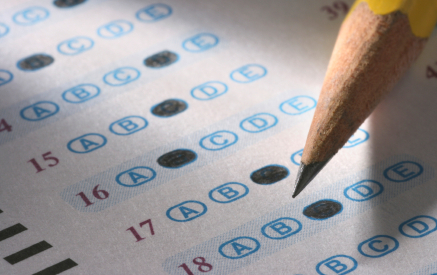 The Iowa Assessments are given twice per year in Newton County. However, the Milestones are only given near the end of the year. Furthermore, teachers are not able to adequately use the data that the Milestones generates during the current school year. According to Houghton Mifflin Harcourt, the Iowa Assessments “measure student achievement and growth across a continuum of next generation learning standards, including the Common Core State Standards”. The authors of the Iowa Assessments are Dr. Stephen Dunbar and Dr. Catherine Welch. Dr. Dunbar was pitching the advantages of the Iowa Assessments over the Georgia Milestones to Superintendent Fuhrey and her team at Newton County Schools. According to Dr. Dunbar, “Our focus in research is that less is more. Less testing provides more information, ” said Dr. Stephen Dunbar with the University of Iowa, who co-authored the Iowa Assessments. What do you think? Do you think that State Superintendent Richard Wood and the State Board of Education will approve Superintendent Samantha Fuhrey and the Newton County’s Board of Education’s request to opt out of the Georgia Milestones? Personally, I think that it is a longshot. The State has too much taxpayer money tied to these assessments. A $105 million dollar pit is a hard one to crawl out of unscathed.